In 1967 the Board of Associates of the Fulton Colleges Fund began sponsoring the annual Fulton Colleges Fund Drive to secure local support for William Woods University and Westminster College. Each year more than 90 volunteers show their support for higher education by calling on businesses and individuals for contributions. The drive is conducted in August of each year. In 2011, Edward Jones showed its support for the Fulton Colleges Fund Drive by pledging a $2,000 lead gift. Each donation received for the Fulton Colleges Fund is divided equally between the two institutions. 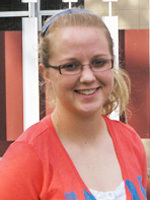 The fund provides scholarships for outstanding Callaway County students who wish to attend Westminster or William Woods. Membership in the Fulton Colleges Board of Associates is open to all interested individuals. 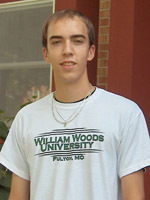 Annual dues support scholarships to Callaway County students who desire to attend William Woods University or Westminster College. Dues also entitle the members to attend the organization's annual meeting and dinner. The dinner includes an update from the president of the host college, the awarding of the alumni service award, and a program featuring a speaker or students from the host college. Annual dues are $40 (individual) or $75 (two people). "The Board of Associates scholarship will allow my family and I to breathe a sigh of relief when it comes to paying for college. I can't wait to start in the fall at William Woods and I think this scholarship will give me a good foundation for my education and ultimately my future career." "Thanks to the Board of Associates organization for supporting me. Their help will give me the opportunity to further my education in my local community." contact Brenda Foster at Brenda.Foster@WilliamWoods.edu.